A few weekends back Luke and I had plans to trade in the vehicle we've been leasing for the past three years. We were trading in our Ford Escape compact SUV for a new Honda Accord sedan. While we loved having an SUV, we found that we didn't need all the extra room and the gas mileage was honestly not good. We averaged 15 mpg, yikes! 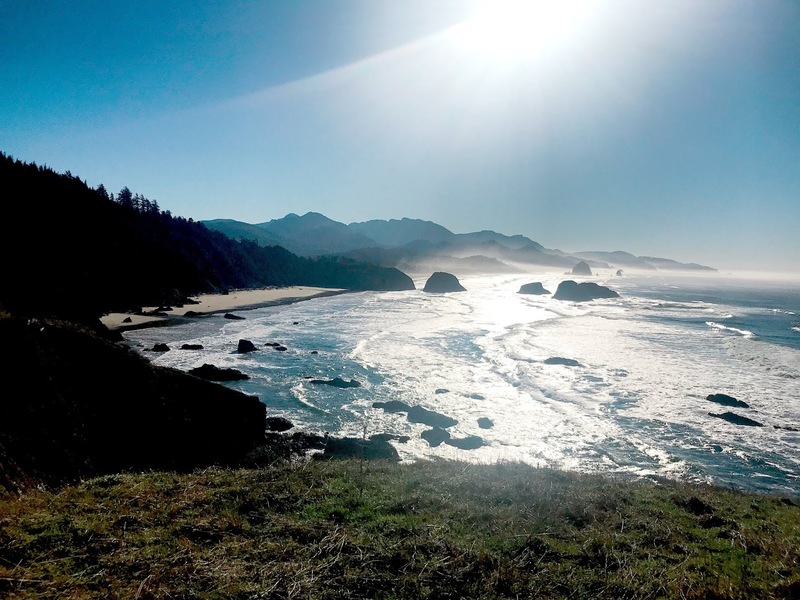 The day before our trade-in we decided to take the Escape on one last adventure... We took a spontaneous road trip to the Oregon Coast to Cannon Beach (my favorite beach town in Oregon). That day ended up being one of the nicest days I've ever experienced at the coast and I've been visiting for nearly my entire life. It was a beautiful sunny day and we didn't even bring jackets with us. Keep in mind, it's January! Oregon weather really surprises you every now and then. 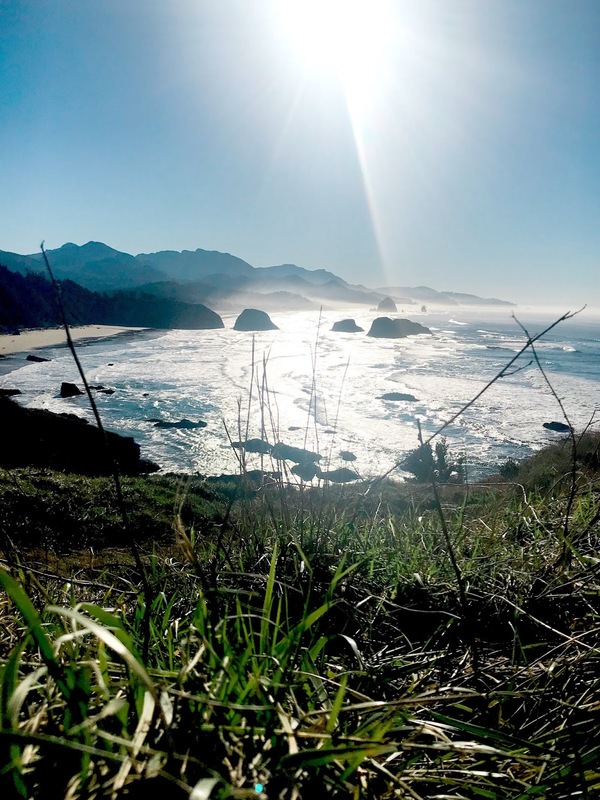 The views from Ecola State Park were incredible. While I'm never one to complain about sunny weather, there was so much sun it was washing out my photos, haha! 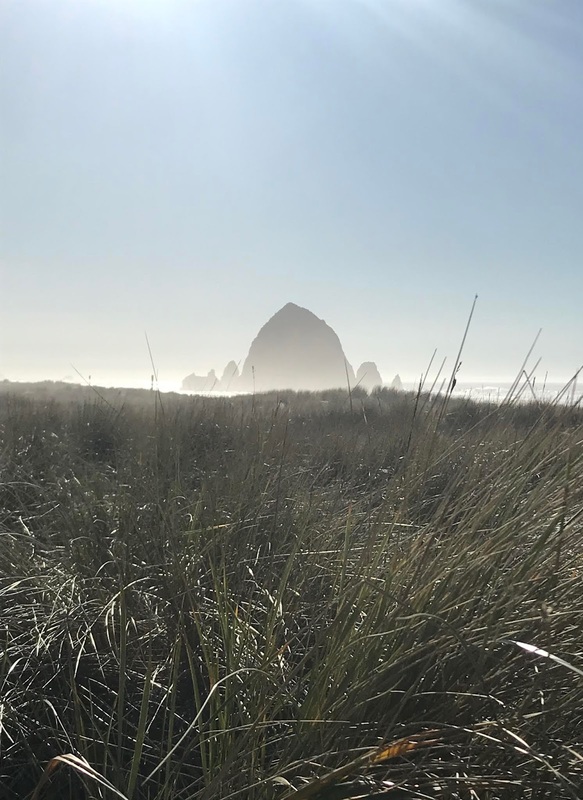 The view of Haystack Rock never gets old. 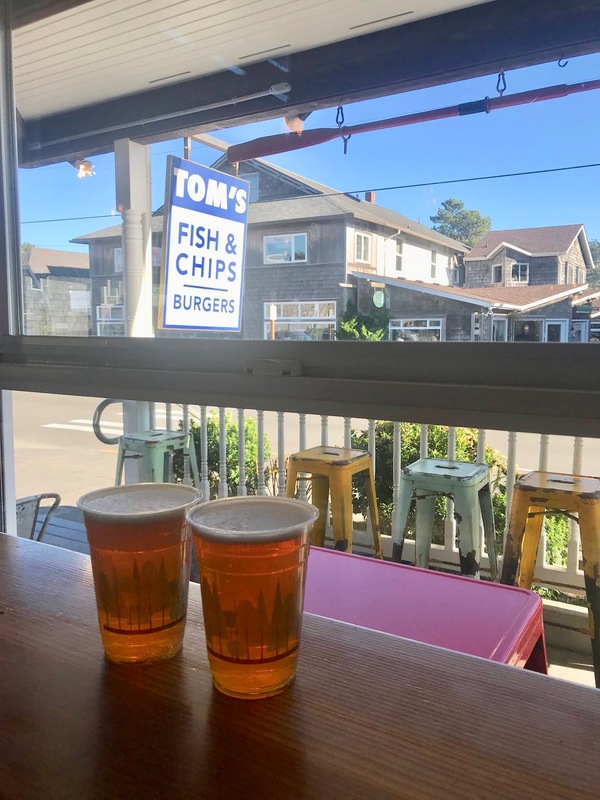 We ate at Tom's Fish & Chips. 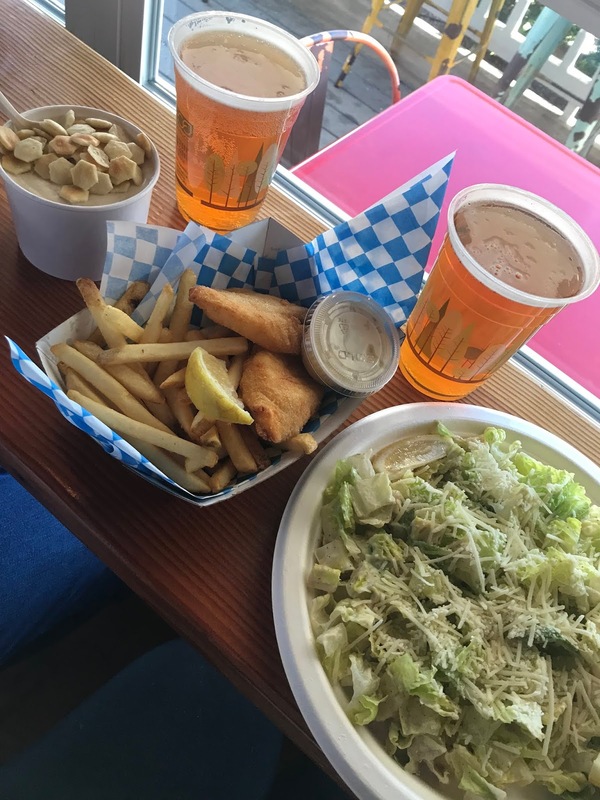 We'd never been here before and just wanted something simple with a few cold beers. Even though it was a simple meal, it was delicious and hit the spot. Of course the pup had to come along, too!